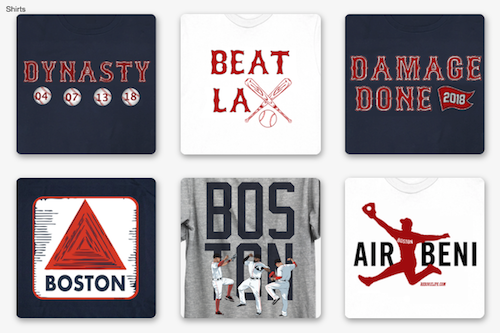 and a three-game sweep of the Yankees on Sunday at Fenway Park. Fittingly, on a night that could have been titled ”Exit Sandman”, the Red Sox put the Yankees to sleep, sweeping the three-game series with a resounding 9-2 win over their rivals at Fenway Park on Sunday. Before the first pitch, the Red Sox held an on-field ceremony to honor all-time leading MLB closer Mariano Rivera, who will retire his devastating cutter at the end of the season after an illustrious 19-year career in Gotham. Rivera, who will be the last man to wear Jackie Robinson’s now-retired No. 42, was honored with a number of gifts by Red Sox players and management as well as a thunderous ovation from the crowd. Once the niceties were observed, the Red Sox got right back to work. Boston out-hit the Yankees 11-4 en route to their 11th win in 14 games this September while improving their record to an MLB-best 92-59. The win eliminated New York from the AL East race and cut Boston’s magic number for winning the division crown to just four games over the Tampa Bay Rays, who lost earlier Sunday in Minnesota to fall 9.5 games back of the first-place Sox. It’s been a woeful September for a Big Apple Bunch that’s gone 1-6 against Boston in the past 11 days. With the latest victory, the Red Sox end up taking the season series 13-6, outscoring New York 59-36 over the past seven games. While the Yankees might have been put down in the AL East race, they’re still not out of the wild-card hunt. Tampa Bay and Texas (both 81-67) currently own the two wild-card slots with Cleveland (81-68) and Baltimore (79-70) one half-game and 2.5 games out, respectively, while New York (79-71) is hanging in at three games back. Red Sox starter Clay Buchholz — in just his second outing since coming off the disabled list — struggled with his command throughout six innings of work on Sunday and walked four but only gave up two hits and struck out three to move to 11-0 and lower his ERA to 1.51. The Red Sox bats were quick to solve Ivan Nova for the second time in the past ten days, tagging the Yankee starter for five runs on six hits and four walks over just four frames. Adam Warren came on in relief and surrendered another two runs and a walk in an inning and a third, while Mike Zagursky allowed two more runs on a hit in just a third of an inning. Mike Napoli hit his 22nd homer of the year off Nova in the first to bring in two runs, while Dustin Pedroia and David Ortiz also had two-RBI nights. Daniel Nava swung the hot bat for Boston, going 4 for 5 with two doubles and an RBI. 1) Lightning Rod: In the first, after Curtis Granderson drew a walk and then advanced to third on a Clay Buchholz pickoff attempt to first that went awry, Red Sox Nation’s favorite punching bag, Alex Rodriguez, punched back by driving in Granderson on a ground out to give the Yankees the early 1-0 lead. 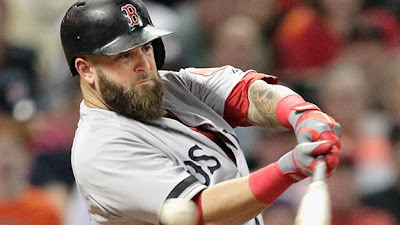 2) Yank Cranker: In the first, the Red Sox promptly retorted to the New York lead when noted Yankee killer Mike Napoli hit a two-run bomb to straightaway center, driving in David Ortiz ahead of him for his 88th and 89th RBI of the year and a 3-1 Red Sox lead. Napoli has driven in 20 runs against Yankee pitching in 16 meetings this season. 3) We Was Robbed, I Tell Ya! : With Jackie Bradley, Jr. batting in the bottom of the fourth with two out and men on the corners, the Red Sox pulled off a successful double steal as Xander Bogaerts nabbed second and Jarrod Saltalamacchia swiped home to give the Red Sox a 4-1 lead. 4) Et Tu, Brute? : Ortiz put the Red Sox up 7-1 in the sixth inning when he singled to center off reliever Cesar Cabral to score Pedroia and collect his 94th RBI of the season. The Red Sox enjoy an off-day tomorrow before welcoming the Baltimore Orioles for a three-game set beginning Tuesday night at 4:10 p.m. Ryan Dempster (8-9, 4.70 ERA) is scheduled to make the start for Boston against Scott Feldman, who is 5-4 with a 3.62 ERA for the O’s in 2013. 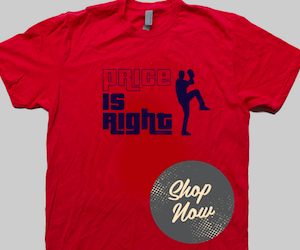 The Red Sox can next eliminate Baltimore from the AL East race with one win.